I'm sure you've heard....Nigerian Literary Icon, author, poet and legend to many, Chinua Achebe passed away this morning in Boston, USA, following an illness. He was 82 years old. In the wake of this news, I feel it becoming to reflect on what the "Man of the People" meant to me, and many others. He was well-known and internationally recognized mostly for his novel, "Things Fall Apart" which many have dubbed the most widely read African literature of all time. I mean, you couldn't have graduated high school without reading "Things Fall Apart", especially if you attended any kind of school in Nigeria. As a writer, aspiring author and the daughter of an author and publisher, the name Chinua Achebe has special meaning to me. More so, growing up, my dad (who through his publishing house Fourth Dimension Publishing Company published some of Achebe's books and poems, most notably, The Trouble With Nigeria (1983) and The World of Ogbanje (1986)) would often read Achebe books to me. 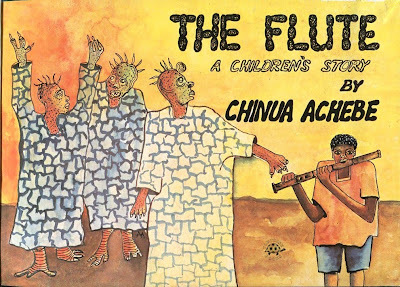 I specially have great memories of my dad reading Achebe's children's book The Flute to me. :-)) He recognized Achebe as an extraordinary writer and a man of great dignity and always urged me to take inspiration from his works. In tribute, and in celebration of life of Achebe as the icon he was, I have put together 35 fascinating facts about him, alongside the lessons his life story has taught me. 1. He was born Albert Chínụ̀álụmọ̀gụ̀ Àchèbé on November 16, 1930 to Isaiah and Janet Achebe in Ogidi, an Igbo town in Anambra state Nigeria, where he was also raised. 2. At 6 years old, he attended St. Phillips Central School where he was upgraded a class because of his intelligence. 3. At 12 years old, Achebe moved to Imo State to attend another central school where his older brother was a teacher. 4. In 1944, Achebe took entrance examinations for and was accepted at both the prestigious Dennis Memorial Grammar School in Onitsha and the even more prestigious Government College in Umuahia. 5. He chose the Government College where he was double-promoted in his first year; this enabled him finish the two years' program in one and secondary school in 4 years instead of the 5. 6. He wasn't able to join the sports team but instead was among the six most studious students; they were so studious, the headmaster had to ban the reading of textbooks from five to six o'clock in the afternoon! 7. He was originally inspired to love story-telling and literature by his mother and her Zinobia who told him many stories as a child. 8. When he sought to enroll in Nigeria's first university the University of Ibadan, then called University College, an associate college of University of London, he scored so high in the entrance examination that he was admitted as a Major Scholar to study medicine. 9. After a year, he changed to English, history and theology and as a result, eh lost his scholarship and had to pay tuition. 10. His older brother Augustine had to give up transport money for him to continue his studies. 11. He was such a reader in his youth that he earned the nickname "Dictionary". 12. He wrote his first story "in a Village Church" while a University student but his debut as an author was through a piece he wrote in 1950 entitled "Polar Undergraduate" which he write for the University Herald, the campus magazine on which he served as the editor from 1951-1952. 13. 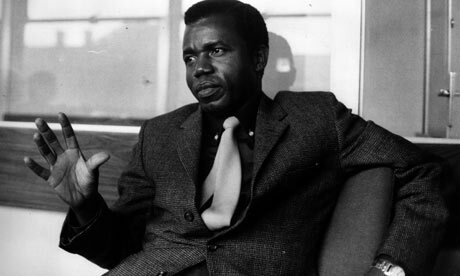 While in the University, Achebe wrote many other essays, some of which were published in another campus magazine, The Bug. 14. 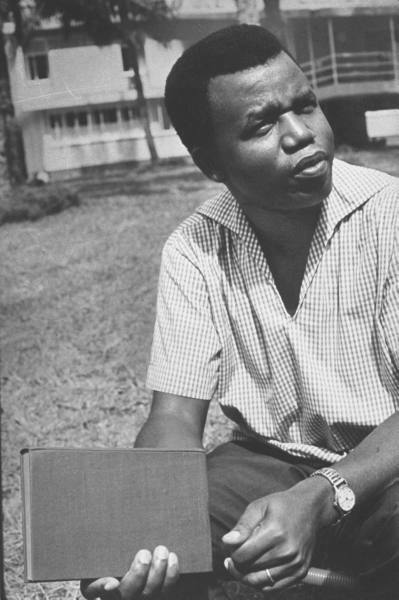 After graduation in 1953, Achebe returned to Ogidi to find "himself" and meditate on his career path options. 16. He met his wife Christie Okoli when he joined the NBS; she first knew he was interested when she had an appendectomy and he came to the hospital with gifts and magazines. 17. The Achebes had four children; Chinelo, Ikechukwu, Chidi and Nwando and 6 grandchildren; Chochi, Chino, Chidera, Chinua Jr., Nnamdi and Zeal. 18. He credits the city of Lagos, Nigeria for having a significant impression on him; it was where he started work on his first novel "Things Fall Apart" which later became widely acclaimed. 19. He had to revise and edit "Things Fall Apart", which started out having three sections, severally until what remained was the story of Okonkwo, the yam farmer. 20. The transcript of "Things Fall Apart" was nearly lost and then turned down by several publishers before being accepted by Heinemann which first published 2,000 copies of it. 21. Though it met mixed reviews, and skepticism from West Africa, the book sold over 12 million copies and translated to 50 different languages, making Achebe the most translated writer of all time. 22. In 1969, he toured the United States with fellow writers Cyprian Ekwensi and Gabriel Okara, lecturing at Universities. 23. Achebe credited Shakespeare, Dickens, Robert Louis Stevens, Jonathan Swift and others for his writing inspiration. 25. After the civil war in Nigeria, he joined politics briefly before leaving due to the corruption he saw there. 26. Also after the war, he part-founded two magazines: the literary journal Okike, a forum for African art, fiction, and poetry (from which he stepped down in 1986) and Nsukkascope, an internal publication of the University. 27. 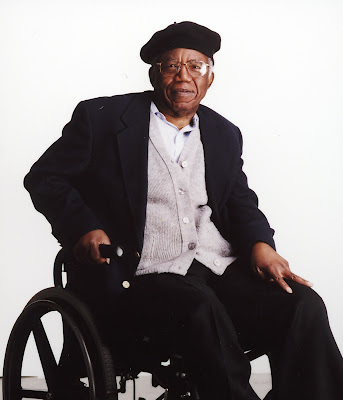 Achebe authored and published 17 books, including 5 novels, 10 essays, 5 poetry books, 4 children's books, 5 short story collections, and several anthologies. He has also received 7 honors and awards and about 25 honorary doctorates from Universities. Here's a full list of Achebe's works. 28. 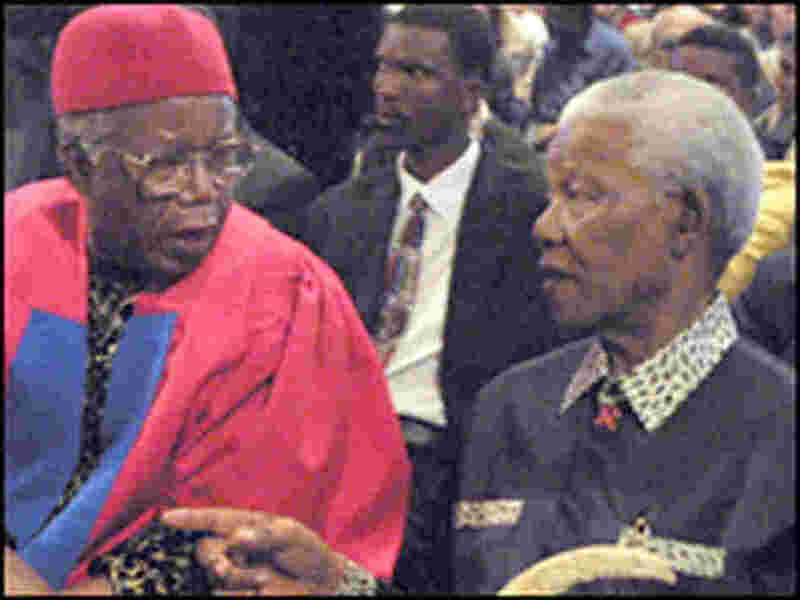 Nelson Mandela has been quoted to say; "Achebe brought Africa to the rest of the world". He called him "the writer in whose company the prison walls came down". 29. Until his death, Achebe served as a Professor at David & Marianna Fisher University and Professor of Africana studies at Brown University. 30. 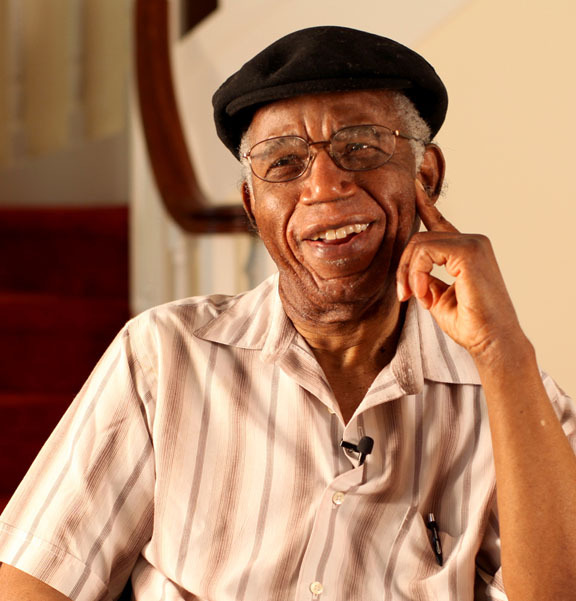 Achebe rejected two offers from the Nigerian government to give him national honor because of what he calls "failure of governance" in the country. 31. In 1986, he was elected president-general of his hometown Ogidi's where he served a three-year term. 32. He was in accident in 1990 which left him paralyzed from the waist down, yet this did not derail his career or his zeal for literature. 33. 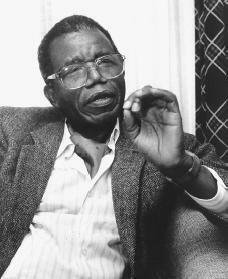 Achebe moved to the United States because of the ease of availability of therapy and other health care he needed. 34. Though many believed he deserved the Nobel prize, he received the Man Booker International Prize, a $120,000 honor for lifetime achievement in 2007. 35. In 2012, his niece Ngozi Achebe was shortlisted for her book "Onaedo: the Blacksmith's Daughter". Its time for me to ask in my usual fashion' Inspired yet? I'm not sure about you but I learned a couple things from doing this post. 1. NEVER ever give up on your dreams. 3. No matter what life presents you with, STICK to your passion. Like they say, "choose a career you love, and you'll never have to work a day in your life" I highly doubt Achebe would've been as happy as a doctor, or even as influential as he is today as a writer. 4. Life has its set-backs; accidents, sickness, or other forms of losses. NEVER let it derail you. Today, an icon went home. In the words of African scholar Kwame Anthony Appiah "it would be impossible to say how "Things Fall Apart" influenced African writing. It would be like asking how Shakespeare influenced English writers or Pushkin influenced Russians. Achebe didn't only play the game, he invented it." 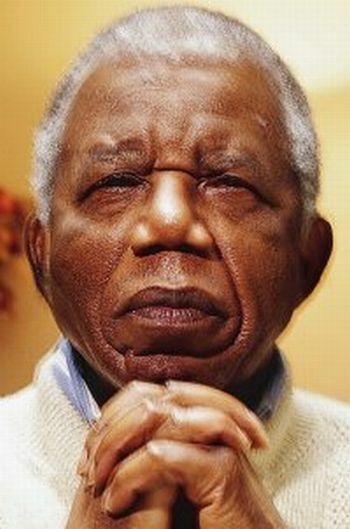 Adieu Chinua Achebe. Thank you for inspiring us. May the fire you lit never die. May your intellectual contribution to this world impact generations to come. May your legacy never fade. And may your dreams of a "corrupt-less and strongly-led Nigeria" one day come to pass. Sources: NewsDay, Britannica, USA Today, google images, & Chinua Achebe-on Wikipedia.